Happy St. Patrick’s Day! 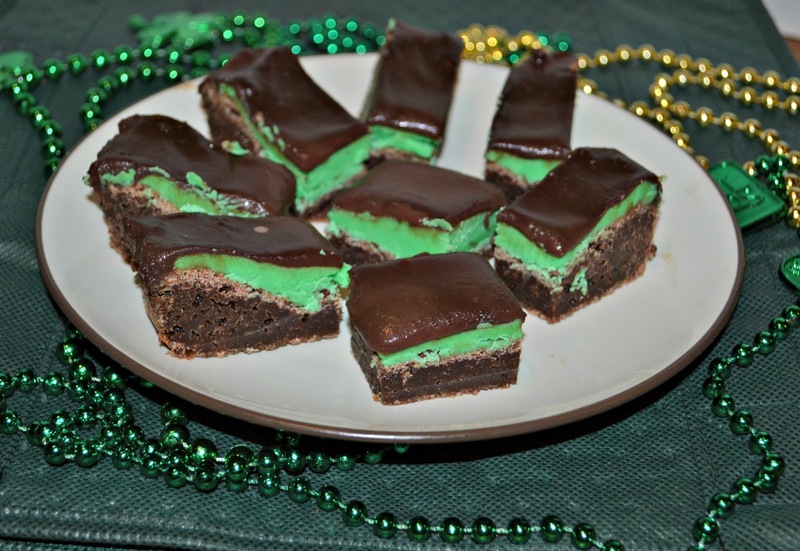 This week #SundaySupper is focusing on Springtime recipes and because it’s also St. Patrick’s Day I wanted to share these amazing Chocolate Mint Brownies! I can remember eating brownies similar to these when I was a kid. My next door neighbor, Mrs. Fichter, would make them and I can remember going over to her house and eating several (or 5). I loved them then and I’m glad to say that I still love these mint chocolate gems. The brownie is dense and fudge filled. The mint layer is light, fluffy, and packed with flavor. The top layer is chocolate ganache which hardens the longer it sits. 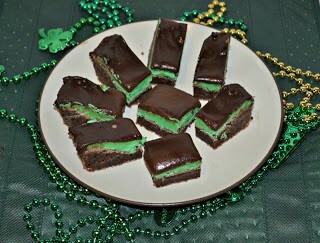 The combination of the mint sandwiched in between two types of chocolate is just incredible. 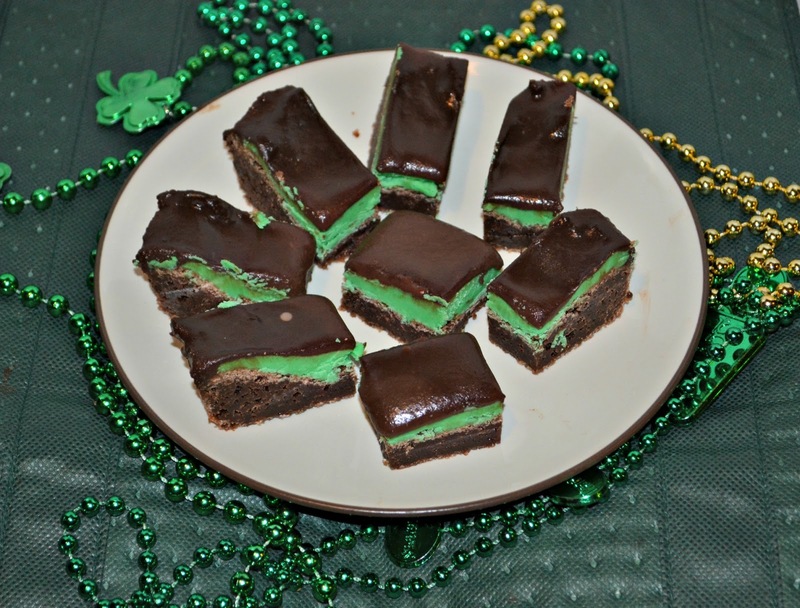 These were the perfect brownies to make for the St. Patrick’s party at school and they are also a fun dessert for the beginning of spring. 1. Preheat the oven to 350 degrees. Line an 8 x 8 baking dish with foil and set aside. 2. In a double broiler, melt the butter, chocolate, and mint chocolate chips. Stir until smooth. Remove from heat. 3. Stir in the vanilla, mint extract, and sugar. Add the eggs in one at a time stirring well after each addition. 4. Stir in the flour and salt and mix well. 5. Pour the brownie mix into the prepared pan and bake for 22-27 minutes. Remove from the oven and cool on a wire rack. 6. To make the mint layer beat the butter with a hand mixer until it is fluffy. Add in the powdered sugar, water, mint, and green food coloring. 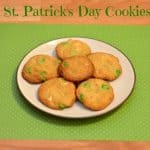 Mix until creamy and the green coloring is evenly distributed. 7. Spread the mint layer over top of the cooled brownies. Place in the refrigerate while making the ganache. 8. Place the chocolate chips and the mint chocolate chips in a medium bowl. Set aside. 9. Pour the whipping cream into a small saucepan and heat to just a simmer. Pour the whipping cream over top of the chocolate and whisk until smooth. 10. Let the ganache cool for 15-20 minutes. Pour over top of the mint layer and refrigerate for at least 30 minutes. Remove from the refrigerator and cut into 30 small squares. 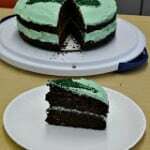 Chocolate and mint is such a great flavor combination! I’ve made brownies like this before, but it’s been awhile. Need to do it again. Many members of my family are chocolate & mint fiends. Saving this recipe to make next time we’re all together. Mint and chocolate is the only way I’ll eat chocolate! YUM! Festive, Fun and a great Flavor combo! Yum! Now if the girl guides sold these, I think more of my family would love the mint chocolate combo! I loooooove chocolate and mint together! 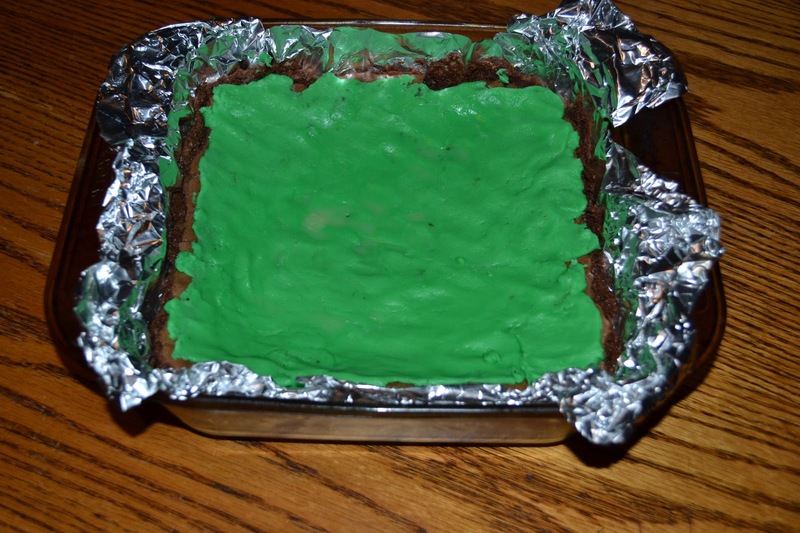 These brownies look amazing, especially with that pop of green. 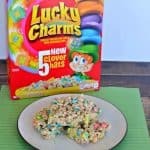 Perfect for St. Patty’s day…or any day, really! 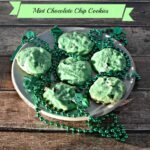 Mint Mint and chocolate are one of my favorite combos!